If the president were elected by national popular vote, he or she would have both the mandate and the consensus-driven support of the nation’s entire population to support a federal minimum wage raise to a realistic level. Under a national-popular-vote system, the president would answer to the electorate in its entirety, which has both diverse and aligning views on the issue of wages; therefore, the president would likely work toward a compromise and the greatest possible consensus. He or she could advocate for a raise in the federal floor enough that it would not be too much, which could harm jobs or dangerously raise inflation, but just the right amount so that states could make the ultimate decision above the federal minimum and tie the increase to in-state cost of living—which seems to be in everyone’s interests, and the aspect of a solution favored by most parties. The federal minimum wage has not been raised at all since 2009, but it is supported by a consensus of individuals working in all 50 states. 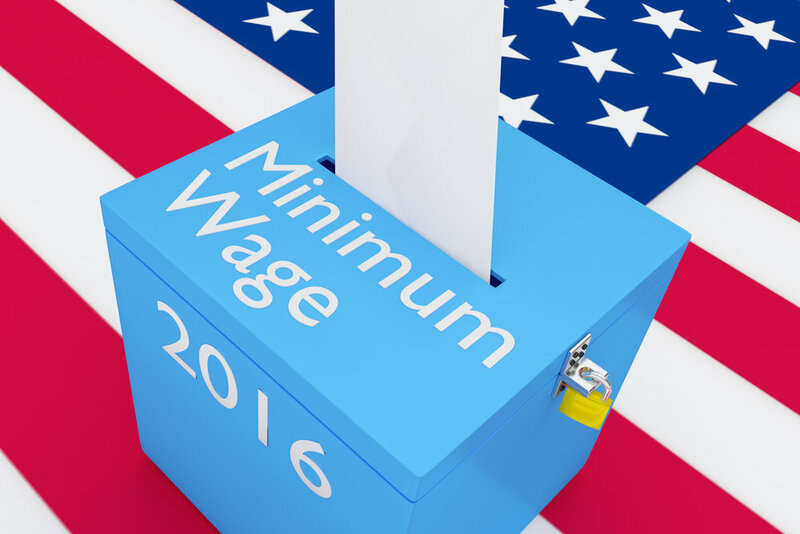 Polls show that a bipartisan majority of 73% supports raising the minimum wage (from $7.25 to $9.00 per hour over two years). This includes 58% of Republicans, according to a poll conducted by the University of Maryland Program for Public Consultation (PPC) and the non-partisan group Voice of the People. Why now? Wages have stagnated for the past thirty years for most Americans at the same time that the real cost of living has continued to increase and dug deeper into the paychecks. At present, even with a few moderate increases to the federally mandated minimum wage during this period, the real purchasing power of the minimum wage (i.e. its value in terms of “real wages”) has remained below the poverty line since its inception in 1938: the federal minimum wage has averaged around 60% of the poverty level since 1989 (it almost matched the poverty line at its height in 1968). In other words, a person who earned only minimum wage but worked full-time over the past 30 years earned an income only slightly more than half the yearly income which would qualify for food-assistance to feed a family of two adults and two children. Employers are quite literally not paying people enough to eat. In fact, a report published by Health Affairs, and reported on by The Atlantic found that the inability to afford food is “literally making people sick,” with hospitalization for hypoglycemia at the end of the month 27% higher among low-income people. Significantly, the population studied became ill by the end of the month before paychecks and benefits were forthcoming—but at which point their wages had been exhausted, forcing them to cut back on food. An interview with one Trump supporter, a retired male federal employee from Pennsylvania, reflects a concern among this constituency. He told The Guardian, “Obama created jobs, but minimum wage jobs. You can’t support a family on a minimum wage. Our manufacturing plants are gone, the coal industry is gone from my area and Hillary would just shut it down the rest of the way.” His perception that minimum wage jobs currently cannot provide for a family’s needs is entirely correct. 68 years later, can we realistically expect a federal minimum wage increase to happen while so few voters in only three states determine who wins and who loses the presidency and most voters nationally are left out? Newer PostFewer than 55% Of Voter-Age Americans Voted For President In 2016. A National Popular Vote Would Boost Turnout Significantly. Older PostHow Much Is a Vote Worth?